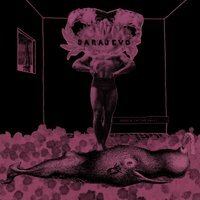 Sarajevo is a rock band from Paris, France. This quintet tries to combine psychedelic rock with some noise and indie music. The line-up includes some ex-members of Dacast, G.M.B.C. and Velocross and claims to be influenced by bands like Flaming Lips and Spaceman 3. This two-track single is their first effort. The songs, named 'Psycho' and 'Otto' seem to be rooted in the psychedelic music from the sixties and early seventies. The sophisticated yet repetitive sound of Sarajevo would have trance-inducing powers if they weren't this short. Music like this may be longer and incorporate elaborate passages to create a trippy atmosphere.